Preparation is crucial for any hunting trip. When hiking in the wild, you’ll want to pack as light as possible, but forgetting an important item can compromise your hunting success. 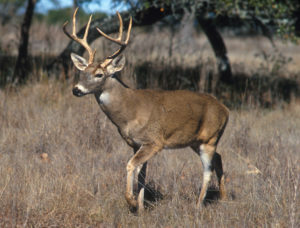 This list of deer hunting gear is your guide to a successful deer hunting trip. The minimalist hunter might prefer a handgun for deer hunting. Rifles, shotguns and crossbows can be also popular, but bringing a sling helps you walk with the weapon safely and easily. Something to carry extra ammunition, your hunting license, deer tag and good hunting knife are all that you really need if you know the area you are hunting in and want to pack light. Deer Hunting Knives can come in all shapes and sizes. My first deer hunting knives was a Buck Knife which I think anyone who’s anyone knows that name. For a starter knife, it was ok and did the job. Once I was older and more experience I realized that fixed blade hunting knives were the way to go and they were much stronger for that tough cutting that you have to do when cleaning your animal. Deer hunting in Idaho is a very popular sport, and I think about half the guys I work with deer hunt. I ask them if they all have there deer hunting knives and of course, each of them have a different make and personal one that they like. I have a custom made hunting knife that a buddy made for me, and as far as I am concerned it’s the best knife I have ever used in my entire life. Deer hunting knives are no different from any other type of hunting knives out there. What makes it important to me is comfort and usability. It’s not going to do me any good if I have a hard time packing it with me, and also if it’s hard to use. I have had some in the past that were cheap, and not really user-friendly. Deer hunting is fun but if you don’t have the right deer hunting knives then it makes it a real pain. I am starting to get my son into deer hunting, and I would love to see him catch on and take an interest in something that I truly love. I bought him some deer hunting knives to hopefully get him existed about going out this Winter we will see how it goes, I will update this post after and let you know. I know there are a lot of you out there that also like to hunt please take a moment and post a comment and let me know your thought and also some stories of your hunting experience.